Sales of agricultural machines across Australia have experienced a healthy jump in October, driven largely by the upward movement in harvesting equipment, writes TMA executive director Gary Northover. Australian tractor sales are headed for the magical 12,000 mark, with October sales 15 per cent up on last month and 8 per cent up in dollar terms on an annual basis. The slow start to the year for tractors under 40hp was reversed with an increase of 28 per cent on the previous month, due largely to the improved weather conditions bringing smaller users and owners back to the table. Big-ticket tractors above 200hp are continuing to move in large numbers, now 12 per cent up on a year-to-date basis. The 100hp-200hp range was again strong, up 18 per cent with the 40hp-100hp recording a 4 per cent lift. Sales of tractors were up across the nation – and even in Victoria, which is still struggling to replicate last years’ levels. Dealers are indicating an improved appetite from the dairy sector as it digests the full impact of its farm gate price challenges, some of which is being offset by cheaper input costs including fodder prices. Elsewhere in the nation, NSW in particular remains the hotspot, up 25 per cent for the month and now 19 per cent up on a year-to-date basis. Queensland sales roared back to life with a massive 44 per cent increase on last month, but grain harvesters are the big story, with 318 units sold across the nation in October. This brings the year-to-date number to 727 – up a whopping 100 units on the same time last year. 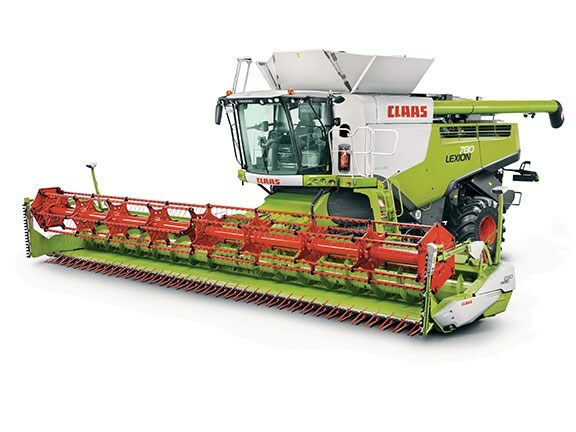 It is well known that the majority of the years’ harvester sales have been scheduled to occur during this spring period, however, even allowing for this, suppliers have been reporting unheard-of levels of demand from the marketplace. Many regions of the country have recently reported problematic weather conditions for this year’s harvest season, so one can only speculate about the underlying demand during this period, and what might have been possible had the late spring rains not occurred. We have in past years seen a boom-and-bust cycle with harvester sales, where lots of machines are traded in and the industry suffers from an overhang for the next few years. This season is seeing a lot of good-quality used equipment being sold, dealers are reporting sales demand even this late into the harvesting season, and many farmers appear to be buying direct rather than relying solely on contractors – all of which points to a healthy outlook. Hay and forage equipment sales are down slightly on last year’s levels due to the lateness of the season, while the sales of out-front mowers continue at somewhat unexpected levels, now sitting 20 per cent ahead on a year-on-year basis. There is no doubt that tractor and machinery sales are enjoying an extremely buoyant time at present. Climate challenges have taken the edge off in some regions and segments, but these are being offset by above-average demand elsewhere, all leading to potentially another record year.